“Yes! Ya ebni, my son, that is what we must do whether it breaks our hearts or not. For the moment we are still safe here but for how long? I have thought about that very seriously since the turmoil and aggressions started on our community. "We shall form a caravan with donkeys, pack up everything and leave during the night when everyone is asleep. Then at one of the hams, caravan serail, we shall rejoin the camel caravans that spread out in many different routes. One of these routes is Samarkand on the Silk Route but that is not our goal. "We shall take the one going through to Syria and then Egypt. ”Egypt by then had developed and with the inauguration of the Suez Canal (Nov.17, 1869), would know a massive Europeanised era. "Every one who longed to leave Iraq, and they were many, opted for Egypt because of the same language, a sound Jewish community and great possibilities offered. "At that time the Jewish Community was a small one in Egypt but with the on-coming Jews who chose Egypt it grew and became an important one. Consequently, apart from both the dangers and difficulties of an eventual voyage through the Desert, they would have fellow Jews to guide them once they reached Egypt. That was essential because mutual assistance from fellow Jews was not a vain word! Any Jew going anywhere knew that if he went to his synagogue he would be directed to the right people who would in turn do what they could for the newcomer. Martin Indyk, lead US envoy in the peace negotiations between Israel and the Palestinians, has reassured US Jewish leaders that Jewish refugees will received compensation under a final peace deal. "Indyk also told the group that a final peace treaty could provide for compensation to Jews forced out of Arab countries after the founding of Israel in 1948. That would give descendants of those refugees living in Israel a potential financial stake* in a deal long assumed to also provide compensation for Arabs who left land in what is now Israel." "The framework agreement will address Palestinian refugee compensation, but for the first time there was also talk of compensation to Jewish refugees from Arab countries." The reports corroborate an article in the Jerusalem Post where senior Palestinian official Yousef Abed Rabbo talks of a solution to the refugees problem - not Palestinian refugees specifically. 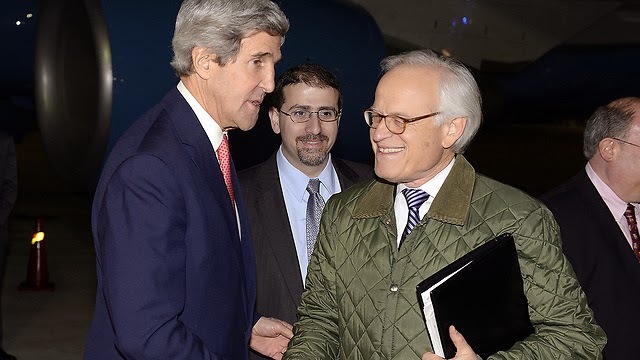 Unconfirmed sources quote Indyk as stating that the US does believe that Jewish refugee compensation ought to be addressed, although the Palestinians could not be held responsible for compensating Jewish refugees. However, Israeli chief negotiator Tzipi Livni is reported as still firmly refusing to raise the Jewish refugee issue. The issue has been discussed notwithstanding. Her reticence, exposed by Point of No Return, has caused concern among advocates for Jewish refugees and had led to MK Nissim Zeev tabling a motion to create a committee to monitor the implementation of a 2010 Knesset law. That law requires that compensation for Jewish refugees be on the peace agenda. The impetus for the Knesset law came from the US. 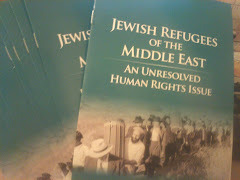 In 2008 the US Congress passed a resolution insisting that whenever Palestinian refugee rights are discussed, Jewish refugee rights must also be discussed. *My comment: The expression 'potential financial stake' is an interesting one and suggests that the US is seeking to provide a financial incentive to the sector of the Israeli electorate most mistrustful of a peace deal - Jews from Arab and Muslim countries. 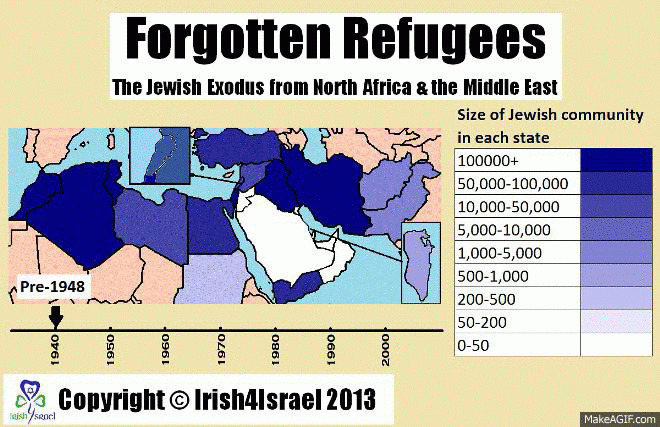 However, compensation without Arab recognition of the Jewish refugee 'narrative' may not be enough. The unattributed advertisement appears to be timed to coincide with reports of what a final peace deal brokered by the US Secretary of State John Kerry would look like. Activists on behalf of Jewish refugees have been worried by news (broken by Point of No Return) that Tzipi Livni, Israel's chief negotiator with the Palestinians, did not see a connection between Jewish and Palestinian refugees. There is anxiety in some quarters that Ms Livni is still failing to include the Jewish refugee issue on the peace agenda. MK Nissim Zeev took steps to call Ms Livni to account by tabling a motion calling for a Joint Knesset Committee to ensure that recognition and compensation for Jewish refugees are included in peace talks, in accordance with a Knesset law he introduced in 2010. This year the UN has declared the Year of Solidarity with the Palestinian Refugees. MK Zeev has called for it to be declared the Year of Solidarity with both Palestinian and Jewish Refugees. However, other sources say that the issue is on the table and is being discussed. Confirmation from the Palestinian side appears in this Jerusalem Post article, they say. The article quotes a response of PLO Executive Committee Secretary General Abed Rabbo to the Kerry proposals. Abed Rabbo does not mention Palestinian refugees, referring instead to "the refugees problem" in the plural - language echoing the wording of UN Resolution 242 covering both refugee populations – Jews and Arabs. He also refers to Bill Clinton's vision or plan. The major component of the Clinton plan is the International Peace Fund, which would provide compensation to both Jewish and Arab refugees. Orphaned at a young age after both of his parents died of cancer, Claude was raised by extended family including his uncle “Papa Isaac”, and his brother, who was the eldest of 5 siblings. Growing up in poverty and without parents, Claude learned the art of hard work early on. His childhood jobs included selling movie tickets, peddling goods on the street, tailoring and working as a pastry chef. He lived on an all-Jewish street in the city of Oran, bordering an Arab Muslim neighborhood. Claude recounts some fights between the groups, but overall he remembers Jewish-Muslim relations during this time as peaceful. Claude’s family migrated from Algeria to France in 1937 in hopes of finding better opportunities and a more secure life. Their first home in Paris was a store they rented, sleeping in the storage room and using the storefront as a makeshift dining room. 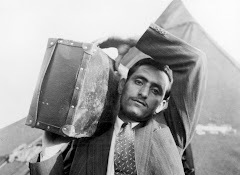 They returned to Algeria in 1941, where Claude remained until moving to the U.S. in 1963. Though he doesn’t come from an observant background, Claude was raised with a value of preserving Jewish tradition, and recalls fondly practices from his childhood such as studying for his Bar Mitzvah and going to synagogue on Passover. Every Friday evening his family gathered together for a Shabbat meal of couscous and d’fina stew. Jewish custom was an integral part of mourning and life cycles growing up. The holiday of Yom Kippur holds significant meaning and memory for Claude. He remembers the hunger-fueled intensity and sullen temper of his congregation members at La Grande Synagogue d’Oran, some of whom even passed out at services. But Claude still looked forward to the holiday every year for a different reason. As it is customary to don new clothing for Yom Kippur, it was a busy time of year for the 9-year-old tailor. Working longer hours than usual, Claude stayed at his boss’s house for extended periods of time. Here he was guaranteed a cup of hot coffee and a slice of bread and butter every morning – a luxury that felt like “a dream life”. Nowadays Claude feels even closer to his faith, which he expresses through practices including lighting Shabbat candles weekly and wearing tallit. One of the most profoundly sentimental mediums that invoke Claude’s memory is the French-infused Jewish Algerian music. Ingrained in Claude’s mind are the lyrics of Enrico Macias, which intone stories of Jewish expulsion and migration to France. The melodies bring up such strong emotions of longing that he avoids listening to them altogether. Claude excelled above and beyond these hardships, graduating at #2 in his class and building a career in the hospitality business. He served for two years in the French Army as a butler to a general in Paris. Here he went on to work at some of the most renowned restaurants and hotels in Paris and London, such as Maxim’s and Hotel Mirabelle. In Paris he also met the owner of San Francisco’s acclaimed Ernie’s restaurant, who invited him to work there. He was promoted to General Manager at age 32, and oversaw the institution as it grew to be San Francisco’s most successful restaurant of its time. In 1981, he opened a Napa Valley restaurant which subsequently grew into a world-class luxury resort - aptly named Auberge Du Soleil, a fitting comeback to the instructor who told Claude he would never succeed in this industry. Claude’s last visit to his birthplace was in 1985, when he returned with his two daughters to see his mother’s grave. Claude found the Algeria of his childhood was unrecognizable: the street names were changed and beautiful landmarks had been destroyed. A road ran straight through the middle of the Jewish cemetery, which had become a “wilderness”, and it was impossible to find his mother’s burial plot. Miraculously, his daughter happened upon the very patch of land where his mother’s tombstone still stood. For Claude, the entire trip was worth this very moment. That Umm Kulthum is highly, even increasingly popular in Israel, despite being an iconic symbol of the 20th century Arabic nationalist movement, is no surprise to Elad Gabbay, a prominent qanun (eastern zither) player and a teacher of Middle Eastern music and piyutim (Jewish religious poetry) at the Musrara School of Eastern Music in Jerusalem. Two unusual events relating to Holocaust remembrance recently took place in the Arab world – a first official conference on the Holocaust in Tunisia and the first visit by an Arab diplomat to a Holocaust memorial site, when Bahraini ambassador to France Nasser Al-Balushi visited a memorial near Paris, The Jewish Press reports. 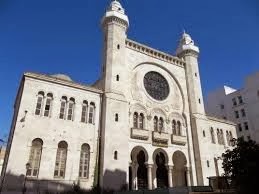 The Middle East Media Research Institute (MEMRI) reports that Tunisia held the Arab world’s first official Holocaust conference in December, attended by historians, clerics, authors, and journalists who dealt with the Tunisian Jewish Holocaust. The purpose of the conference was to commemorate the 5,000 Tunisian Jews who were sent to labor camps or European death camps during the Nazi rule of the country. Speakers praised Tunisian Muslims who helped Jews during the Holocaust, including Khaled ‘Abd Al-Wahhab, who hid 20 Jews in his factory. Of the nine Jewish 'spies', four were under the legal age for execution. A tenth, Jamal Hakim, also underage, had a Jewish father. Forty-five years later, the community and its representatives are still reeling with the consequences of that fateful day. Following the defeat of Arab armies on all fronts by Israel in the 1967 Six Day War and the 1968 ‘war of attrition’, the 3,000 Jews who remained in Iraq following the mass migration of the 1950s were being singled out for vengeance by the Iraqi regime. Dozens of Jews had been arrested and imprisoned. The remainder were placed under virtual house arrest. One Jewish girl remembers that secret service men installed themselves in armchairs opposite her house in order to keep her family under 24-hour surveillance. The tension was such that she and her mother made a suicide pact. Jewish bank accounts were frozen. Jews lost their jobs. Jewish students were not allowed to pursue their university studies. Foreign trade agencies were taken away from Jews and handed over to Muslims. Telephones were cut off. There was no escape: Jews had to carry yellow identity cards and could not obtain the necessary passports in order to leave the country. They were virtual hostages to the regime. Antisemitism intensified with the rise to power of the Ba’ath party. Saddam Hussein was its deputy leader. Before long the regime had concocted a story of ‘Zionist espionage’. The stage was set for a show trial of unspeakable cruelty and cynicism. 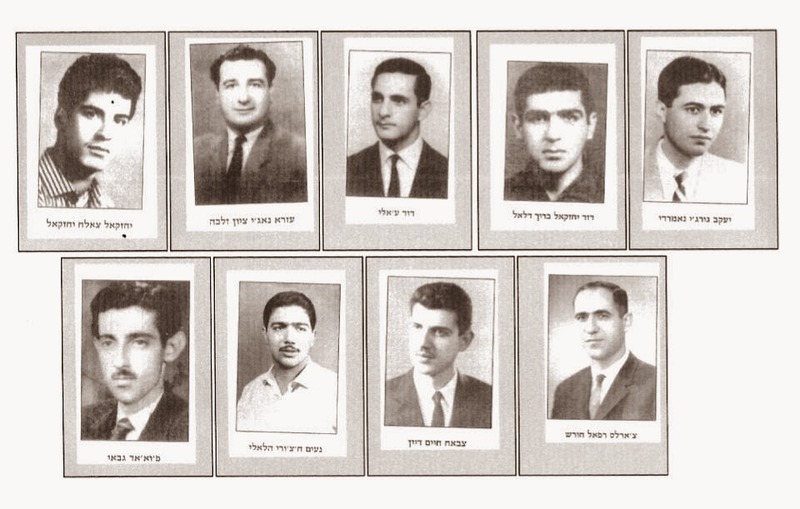 Of nine Jews falsely accused of being Zionist spies, four were under the legal age to face execution. No matter – the regime falsified their ages. Five other victims were Christians and Muslims. “These innocent men were tortured then put through a televised mockery of a military trial, which culminated in nine of them being publicly hanged, one acquitted. “I can recall precisely how terrified and confused we were throughout the entire trial and, more precisely, the night of January 26 when the guilty verdict was announced by the military judge. We did not believe that the sentence of death by hanging would be carried out because the whole court process did not make sense, from the defendants who were not allowed to appoint their own lawyers, to the stories and accusations that were outrageous and full of lies, where the defendants were being asked to bear witness against each other. But when international pressure did come - it was too late. The reign of terror continued. Iraq’s rulers promised that there would be further hangings. Every citizen was urged to inform against their Jewish neighbours. Linda Menuhin, a columnist living in Israel recalls that her own father was abducted on the eve of Yom Kippur 1972 on the way to the synagogue: “We don’t know what happened to my father exactly. Until today we have never said Kaddish for him.” Her search for information on her father is now the subject of a film, Shadow in Baghdad. Raphail Soffer was a small child when his father was arrested on trumped-up charges and executed in Abu-Ghraib prison in Baghdad on 25 August 1969. He was one of around fifty Jews executed, abducted, or who simply vanished without trace. While the hangings triggered the mass illegal departure of the remaining Jews, Raphail’s mother could barely feed her children, let alone hand over bribes to the authorities, or pay Kurdish smugglers to spirit the family over the northern border into Iran. During the Iran-Iraqi war in the 1980s, Raphail was among 13 Jews conscripted into the Iraqi army. He was one of just 20 men out of 120 in his artillery unit to survive the war. Raphail, his mother and his two sisters, one of whom was mentally disturbed since being beaten aged three over the head by her teacher, had to wait to leave Iraq until Jews were permitted passports in the 1990s. The advent of ‘democracy’ in Iraq has changed little for the Jews. Iraq is no safer for Jews or less hostile than it was. There is much unfinished business. The Iraqis have never acknowledged their responsibility for the suffering and forced exodus of 150,000 Jews, the country’s most ancient community. The government has never compensated them for confiscated property. The World Organisation of Jews from Iraq, based in New York, has made repeated calls for information on Iraq’s 'disappeared ones’, without success. A current source of friction is the fate of the so-called Jewish archive. In June 2014, the US is committed to returning to Iraq - and not to its exiled rightful Jewish owners - thousands of documents, books and Torah scrolls seized from the Jewish community and shipped to Washington for restoration. The Iraqis claim the archive is part of their national heritage. Although only five Jews still live in Baghdad, post-Saddam Iraq says it tolerates minorities and values their contribution. While the events of 27 January 1969 in Baghdad cannot remotely compare to the enormity of the Holocaust - the impulse for both was the same: man’s inhumanity to man. There the similarity ends. The Germans have done all they can to show contrition for the Holocaust. When will Iraq issue an apology to its Jews? In recent years many writers have attempted to grapple with the history of the Israeli-Arab conflict by trying to create a metaphor to demonstrate a shared injustice perpetrated both against Jews and Arabs. The general theme is along the lines: “Suppose a man leaps out of a burning building... and lands on a bystander in the street below. Now make that burning building Europe and the luckless man the Palestinian Arabs. Is this a historical injustice?”* This metaphor for the conflict was apparently created by writer Jeffrey Goldberg and has been approvingly cited by others, including by polemicist and author Christopher Hitchens. Quite apart from the facts that the metaphor does not relate to the historical connection of the Jewish People to the Land of Israel, and that the ancient historical impulses for Zionism are unrelated to persecution, it also displays a stunning ignorance of history, especially surrounding the enduring trope that the Palestinians in particular and the Arab world in general were mere bystanders to the Nazi genocide. This fabrication of history allows for a complete innocence on the parts of the Palestinian and Arab populations during the Holocaust. Nevertheless, the Arab stance toward Hitler and the Nazis has been firmly and historically established as an ally and supporter. The Arab masses and leadership gleefully welcomed the Nazis taking power in 1933 and messages of support came from all over the Arab world, especially from the Palestinian Arab leader, Mufti Haj Amin al-Husseini, who was the first non-European to request admission to the Nazi party. Husseini, who was to be arrested for his role in the bloody Arab Revolt 1936-9, had fled to Germany in 1941 and was immediately granted a special place among the Nazi hierarchy. The Mufti and Hitler relayed many declarations to each other explicitly stating that the main enemy they shared was the Jews. However, the Mufti’s ideology transcended words and directed his actions. In 1945, Yugoslavia sought to indict the Mufti as a war criminal for his role in recruiting 20,000 Muslim volunteers for the SS, who participated in the killing of Jews in Croatia and Hungary. On a visit to Auschwitz, Husseini reportedly admonished the guards running the gas chambers to work more diligently. Throughout the war, he appeared regularly on German radio broadcasts to the Middle East, preaching his pro-Nazi, anti-Semitic message to the Arab masses back home. Even the Mufti himself explained that the main reason for his close cooperation with the Nazis was their shared hatred of the Jews and their joint wish for their extermination. “Our fundamental condition for cooperating with Germany was a free hand to eradicate every last Jew from Palestine and the Arab world,” the man who was known as the “Fuhrer of the Arab World” wrote in his post-World War Two memoirs. However, the affection, emulation and cooperation with the Nazis were not just found among the Arabs of Mandatory Palestine, they were replicated across the Arab world. Many have suggested that the Ba’ath parties of Assad’s Syria and formerly in Saddam Hussein’s Iraq were strongly inspired by the Nazis. The most influential party that emulated the Nazis in the Arab world was “Young Egypt,” which was founded in October 1933. Nazi anti-Semitism was replicated, with calls to boycott Jewish businesses and physical attacks on Jews. There was of course the infamous pogrom in Iraq led by the pro-Nazi Rashid Ali al-Kaylani in 1941. Kaylani also asked of Hitler the right to “deal with Jews” in Arab states, a request that was granted. 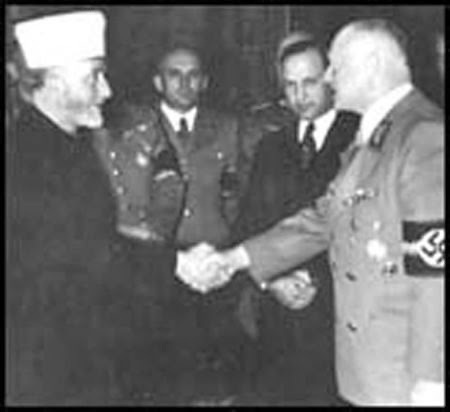 Apart from the secular pro-Nazi stance, there were many other religious Arab leaders who issued fatwas that the Arabs should assist and support the Nazis against the Allies. From June 1940 to May 1943, the Nazis, their Vichy French collaborators and their Italian fascist allies applied in Arab lands many of the precursors to the Final Solution. These included not only “racial” laws depriving Jews of property, education, livelihood, residence and free movement, but also torture, slave labor, deportation and execution. Thousands of Jews perished under Nazi and Axis control and in most cases, like their European counterparts, the local population at times assisted, collaborated and participated in this oppression and murder. Satloff’s book Among the Righteous: Lost Stories from the Holocaust’s Reach into Arab Lands chronicles much of the nature of the Holocaust in Arab Lands. He tries to show that there were Arabs who helped rescue and hide Jews during the Holocaust, but just like in Europe these examples are exceptions to a sadly more pervasive assistance or indifference to Jewish suffering and murder. In Libya, many Jews were sent not only to local concentration camps but also to European camps like Bergen-Belsen and Biberach. In a film titled Goral Meshutaf (“Shared Fate”), some Tunisian eyewitnesses claim that the Nazis had begun building gas chambers there. If the Allies had not won the decisive battle at El Alamain, perhaps the fate of North African Jews would have been the same as befell European Jewry. A willing or indifferent local population was an important ingredient in the destruction of European Jewry and it was certainly present amongst the Arabs of North Africa. Many of the current leadership in the Middle East owe their power base to the emergence of their predecessors during those dark times. The Palestinians still revere Husseini and many of terrorist groups are named after groups he founded. The myth that the Arabs were innocent bystanders to the Nazi Holocaust is unfortunately widely accepted at face value. It is about time that this capricious fallacy was exposed, not just out of respect to those Jews who suffered at the hands of the Nazis and their allies everywhere, but also to deconstruct the simplistic notions used to explain the history of the conflict, especially that the Arabs were not responsible for the suffering that resulted from their continued recalcitrance. * A more suitable analogy of the man jumping out of the burning building would be: the Palestinian Mufti was one of those who set fire to the building in the first place. Other arsonists were the Muslim Brotherhood, the Ba’ath party, the proto-Nazi youth movements. The Assyrians, Kurds, Maronites and Copts have been jumping out of the windows too. As a Senior House Officer and Registrar at Basra general hospital (during the Iran-Iraq war), Eliyahu found himself assisting in complicated surgery to the face and jaws of injured soldiers. Conditions were primitive and standards of care abysmal. Dressings were infected. Eliyahu took on feeding and nursing his patients himself. Because of their injuries, the patients jaws were locked together and they could only take liquids. The nurses cared more about the liquidiser breaking down than about the welfare of their starving patients. The matron tried to undermine Eliyahu and after a row she deliberately broke the liquidiser. He repaired it. Later, when the war was over, she apologised for her misconduct. In 1990, just when Eliyahu was about to leave for England to study for an MSc FDS, having won a scholarship, fate thwarted him once more. The Gulf War broke out on 2 August following Iraq's invasion of Kuwait. Eliyahu went back to Basra Hospital and in November was called up to the army. He was based only 50 km from the front line and subject to regular American and British bombing raids. He introduced himself to his Iraqi major as a Jew. "We are fighting Israel (Saddam had fired several Scud missiles at Tel Aviv - ed) and they send me a Jew?" the officer exclaimed. Food and water were desperately short and starving soldiers would break into the military food stores. The doctors had to make do with whatever came their way. Eliyahu used an old car battery to make a radio work. Eliyahu wore his old uniform from the Iran-Iraq war and his old boots. He had no helmet but managed to lay his hands on a gas mask belonging to an escaped Kurd. There was no electricity. "I will bring you light. Buy me five candles," said Eliyahu. The soldiers thought he was mad. As he used to do with his grandmother's Friday night candles as a child, he recycled them continuously by melting the wax and made a wick in a porcelain cup. One day he found the candles in a dustbin and the porcelain cup shattered into pieces. A Shi'ite officer watched Eliyahu retrieve the candles from the dustbin. Painstakingly he glued the cup back together, piece by piece. "Now I know why you are called the chosen people," he said admiringly. Eliyahu had the chance to escape with a Sunni doctor friend but decided against it." He's a Muslim, I'm a Jew," he reasoned. He thought of his family, who had not heard of him for months." If I die I am one and they are four. If I escape, Lord knows what terrible things would happen to them." Worse was yet to come. Eliyahu was needed at the Basra military hospital. He was driven there one night of heavy allied bombing: the driver became confused, switched off his headlights but continued driving. Eliyahu could only see the blackness of the night and the fire of the bombs. He was sure he was going to die. 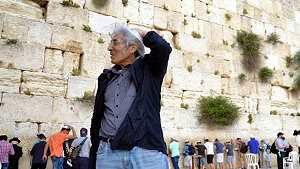 The last thing he remembered before being knocked unconscious was reciting the Shema and the verse said on Yom Kippur: Haya, Hoveh Yihieh (God was, is and will be). Later Eliyahu learned how close he had been to death. His commander told him:"You have Heaven on your side!" I was informed that the ambulance carrying you was bombed. It turned over. I pulled you through the windscreen. You were unconscious, bleeding. I put you in a lorry to take you back to our unit. An officer doctor examined you. He said you were dying." Eliyahu was placed with the other bodies. The soldiers buried them one by one. But just as the orders were given to lower Eliyahu into his grave, the soldiers noticed his toes twitch. "This is a message from heaven,"they told the commander,"Please lift him out." The commander rushed Eliyahu into intensive care. When he came to, he was puzzled : why was he in the hospital where he used to work? He began recall the events leading up to his black-out and examined himself for fractures. There were none. "Mash'allah ( Allah protect you), said a nurse, watching him get up and leave the room. He had been unconscious for two hours. For a week he had no memory as a result of concussion to his brain. In hospital there was no food, no water - except for some oranges which a girl he had previously helped in the hospital brought him. Eliyahu survived by drinking intravenous infusion fluids. Eliyahu's adventures were, however, far from over. He managed to escape to Baghdad with some Palestinians who had been captured by the US in Kuwait. At first they refused to take him but a Sh'ite doctor friend threatened the driver:"If you don't take my friend I will shoot your tyres." The Gulf war had ended. Iraq was defeated, but now it was in the grip of civil war between the Shi'ite majority and the regime. The Americans had bombed all the bridges and there were pockets of fighting everywhere. On the road to Baghdad the bus came under fire. A journey that should have taken seven hours took two days. The passengers had no food, only suspect water and disgusting soup. Eliyahu had to share with a soldier his spoon. Skin and bone, Eliyahu finally arrived home. In September 1991 Eliyahu finally left Iraq. He now lives in the UK. On a chilly December morning, in the presence of Iraqi government officials, the World Organisation of Jews from Iraq held a ceremony to bury unusable or pasool fragments of Torah scrolls at a Jewish cemetery in the aptly-named town of West Babylon, NY. But the rest of the archive is scheduled to go back when the digitizing process is complete - probably in June 2014. The prospective return of the Iraqi-Jewish archive has sent Iraqi Jews into paroxysms of outrage. US Jewish organisations, congressmen and senators have raised their voices in indignation. Several articles have appeared in the mainstream press and media calling for the archive not to go back to Iraq. Nearly 10,000 people have signed a petition. Iraq is adamant: It wants the archive back. "They represent part of our history and part of our identity. There was a Jewish community in Iraq for 2,500 years," said Samir Sumaidaie, the former Iraqi ambassador to the United States. "It is time for our property to be repatriated." Repatriated? That assumes that the archive was Iraq's property to begin with. There is a bitter irony in Iraq, which has driven its pre-Islamic Jewish community to extinction, having dispossessed them on the way out, demanding the return of 'its property'. It should be noted that the US shipped tens of thousands of documents out of Iraq after its invasion, but the forlorn and random reminders of Iraq's Jewish community are the only documents Iraq is insisting must be returned. Legally, the US government did the correct thing to sign an agreement. Morally, it was a singular act of blindness. 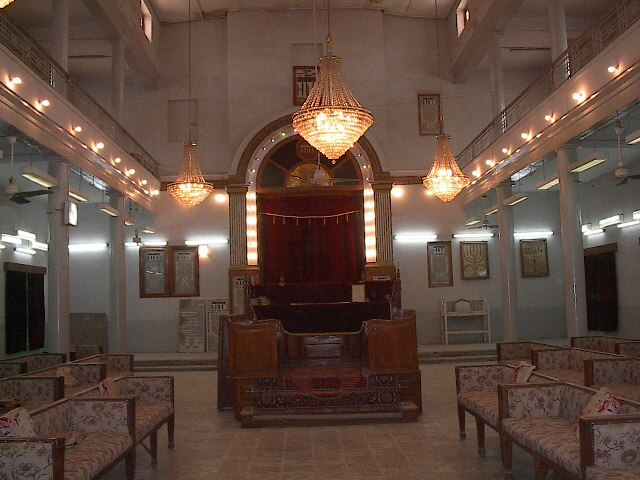 The archive is the cultural property of the Iraqi-Jewish community, and save for five Jews still in Baghdad out of a community of 140,000, Jews no longer live in Iraq, but in Israel and the West. To return the archive to Iraq would be like 'returning stolen property to the Nazis'. 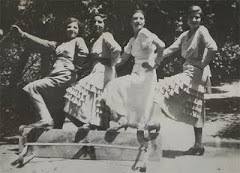 When Iraq did have a Jewish community, the regime took every step to persecute and destroy it. What is there to stop Iraq losing interest in the archive the minute it arrives back on Iraqi soil? Or more likely - selling the items off on the international market to the highest bidder? There are practical objections to return, too. Despite assurances to the contrary, Iraq itself does not have the resources to conserve and store the archive safely. Daily bombings and the advance of Al-Qaeda on Iraqi soil hardly inspire confidence. Even if the archive is digitized and accessible online, Iraq's Jews and their descendants, 90 percent of whom are in Israel, will be debarred from access to the original documents. The issue of the archive not only draws attention to the mass spoliation of nearly a million Jews driven from the Arab world, but is a test case. Here at last is a unique opportunity to return Jewish property to its rightful owners. Will the US take it up? The petition asking the US government to stop the archive returning to Iraq may be signed here. 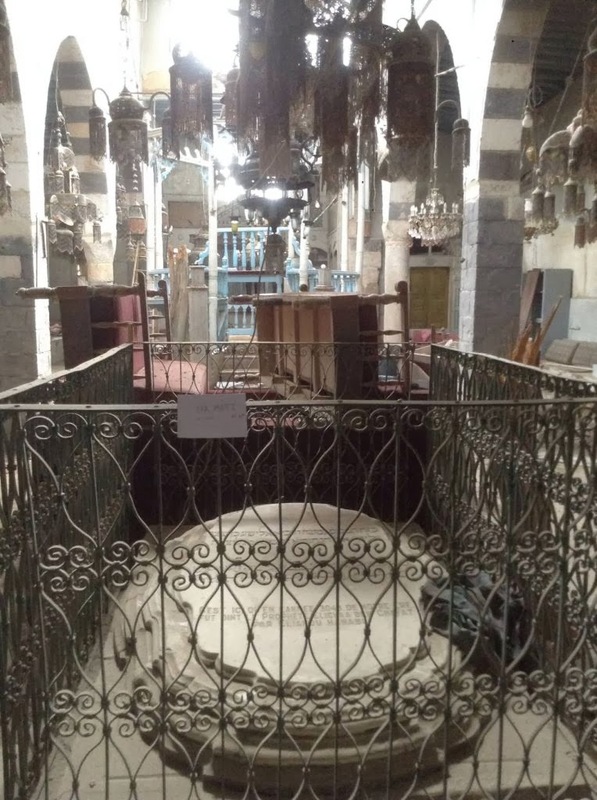 Ideology aside, the headline of The Times of Israel’s article, “Syria’s ‘Destroyed’ Ancient Synagogue is Still Intact”, should not come as a revelation. The video posted by the Dubai-based pan-Arab al-Aan broadcasting corporation on 23rd June 2013 entitled, “Jobar Synagogue and Bashar al-Assad?”  shows some damage to the traditional poplar-beamed ceiling of synagogue and its roof. There is also some residual debris; but it is fully evident that the synagogue is far from destroyed. Moreover, the interview with F.S.A. fighters indicates that they are protecting the synagogue – a claim not too distant from The Times of Israel’s story (except without reference to the much sought after Judaica). On close inspection al-Aan’s account consists of earlier video footage from March. It also insists that Jobar was “the oldest synagogue in the world”, that it housed “the oldest Torah in the world” and that town of Jobar was once home to “the second largest concentration of Jews”. Despite these grandiose and false claims the footage contains important evidence. Whether the video was disseminated by al-Assad’s foes or not, it is a critical witness in a conflict where validation is increasingly dependent upon videography and partisan reportage. The task, of course, is to know where fact begins and credibility ends. What is apparent is that December’s coverage in The Times of Israel takes matters one step further. 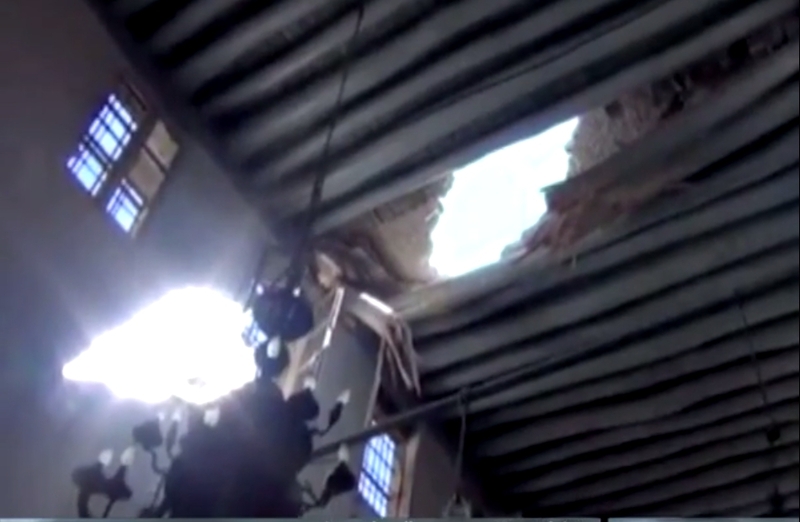 The article omits the collateral damage to the ceiling and roof. No mention is made of the very real consequence of regime bombardment if the F.S.A remains encamped in the sacred site. Of the scrolls, one is noticeably desecrated (although there is nothing to associate the object in the photograph with Jobar as the newspaper rightly reports). 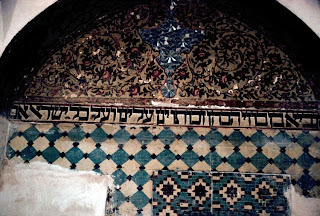 More significant is the image of the synagogue with mysterious “card” in situ. It does not, of its own accord, constitute proof of the synagogue’s endurance in December of 2013. Surely the Skype-friendly rebels can do better than that. What the image does show, which previous video coverage from March and June had not shown, is proof of a prayer hall bereft. Gone is the large menorah which sat upon the stone attributed to Elijah; so too are the many hangings and carpets that once “muffled” the walls as Colin Thubron, author of “Mirror to Damascus”, put it . At its very least, The Times of Israel prayer hall photo may be one of the most recent images to emerge from Jobar post-June 2013. Sadly, if the coverage from April of this year helped to preserve the synagogue, perhaps because the site provided no further political purpose, the latest news may yet have the opposite effect. Judaica, Syria’s Jewish past, has gained currency. It has entered the discourse of rebel strategy, whether in actuality or virtuality. Syria’s Jewish legacy now stands and falls with international perception of a conflict far away from these shores. (...) Despite the many talents that the Mizrahi Jewish community possessed and their contributions to Arab society, almost all of them were compelled to leave their homes following waves of anti-semitism. From 1947 to 1948, anti-Jewish pogroms and riots erupted, Jews were systematically persecuted, and much Jewish property was confiscated. Official expulsion edicts would be issued in some Arab countries like Egypt and Iraq. Flora Cohen, a Jewish refugee from Morocco, told the Jewish Press: “It was a common practice in Morocco for some Muslims to abduct young virgin Jewish girls, forcefully convert them to Islam, and to make them marry Muslims.” She stated that one of her relatives suffered this fate. In addition, both her grandfather and his brother were murdered by Arabs, leaving her grandmother a widow with two children. “In June 1948, bloody riots erupted in Oujda and Djerada, resulting in the death of 44 Moroccan Jews while many more were wounded. An unofficial boycott was initiated against the Moroccan Jewish community that same year,” Cohen emphasized. Nevertheless, despite all of this, Cohen insisted that the situation was still tolerable as long as the French were still controlling Morocco. However, Cohen stressed that once the Moroccan people rose up against the French, the situation dramatically deteriorated for the Jews. “Terrorism was widespread within the country and Jews were also the victims of such violence, not just the French, since the Jews supported the French,” Cohen stated. She professed that her brother was almost murdered by Arabs and it was soon after this incident that her entire family moved to Israel. 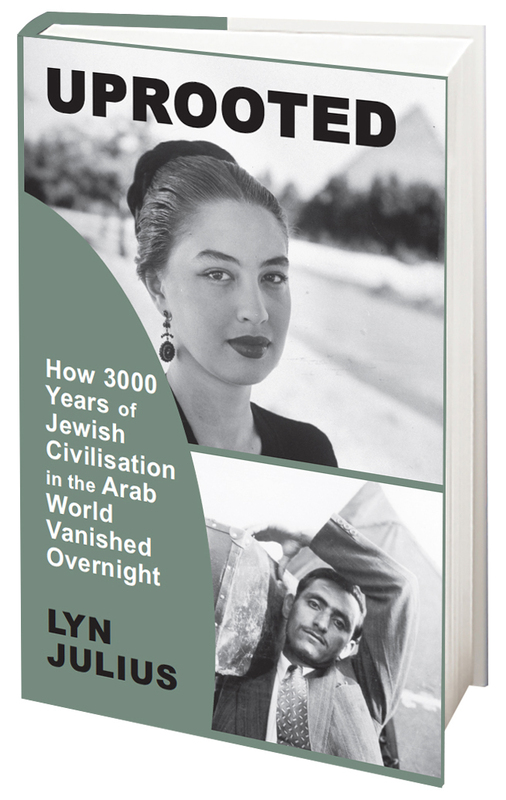 The life stories of Mazal Elijah, Flora Cohen and Levana Zamir is also that of numerous other Jews who hailed from numerous other Arabic speaking countries such as Syria, Yemen, Libya, etc. 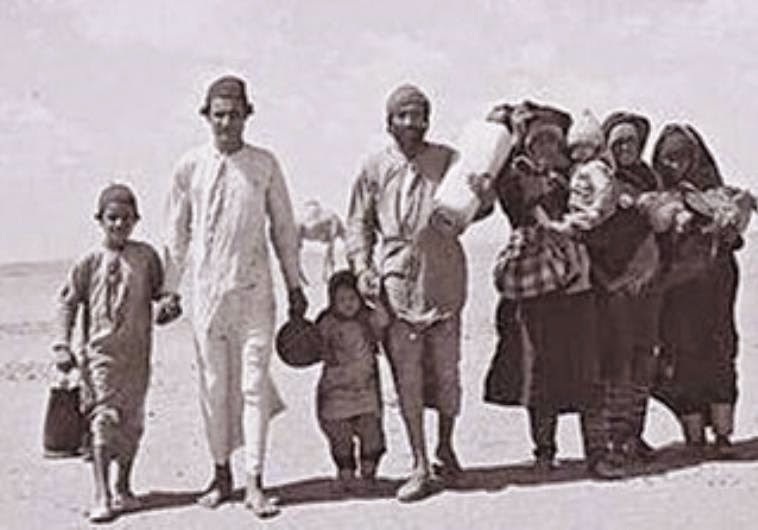 Close to one million Mizrahi Jews became refugees, a number which some studies claim is twice as high as the number of Palestinian refugees, who according to the Jerusalem Center for Public Affairs, consistituted 550,000 people. The academic Benny Morris claims there were 750,000 Palestinian refugees, a number still significantly less than the number of Jewish refugees from Arabic speaking countries. 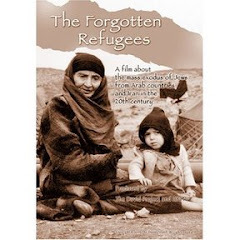 These Jews arrived in Israel with virtually nothing and were forced to live in refugee camps. In many cases, they gave up property and possessions that amounted to significantly more money than what the Palestinian refugees left behind. According to the Jerusalem Center for Public Affairs, the United Nations Conciliation Commission for Palestine appraised that Palestinian refugees from the 1948 war lost $350 million. If Palestinian losses from the 1967 war are added into the equation, Palestinian refugees accumulatively lost $450 million, which in 2012 prices adds up to $4.4 billion. Jewish refugees, to the contrary, lost $700 million in 1948 prices, which amounts to $6.7 billion in 2012 prices. If the Arab world is serious about making peace with Israel, then they need to recognize the injustices they committed against Mizrahi Jewry, to pay compensation to Jewish refugees from Arabic countries, and consent to the lack of a Palestinian right of return to Israel proper, since it isn’t a feasible solution and such demands ignore that the suffering was two-way rather than one-way. As the daughter of storyteller and poet Yossi Alfi and sister of renowned comedian Guri Alfi, performing runs in musician Sari Alfi’s blood. With a multicultural background, Alfi intertwines her ethnic roots to create her art. In her new album, Yamim Hamim, produced by Roy Sela, Alfi blends authentic Babylonian melodies with contemporary Western music. She writes and composes all her own music and lyrics. Her album includes guest performances by traditional Iraqi musicians, such as singers Ismail Fadel and (Ehsan) Iman and violinist Yair Dalal. By using more traditional musicians, she gives Iraqi culture a modern twist with edgy electronic beats. In her younger years, Alfi identified more with her mother’s British background. As she matured, she began to embrace her Iraqi roots. The turning point occurred at her wedding. She surprised her father by singing an Iraqi melody. That song ignited a lifelong love affair with Iraqi music. “When I was a kid, I hated Iraqi music. I thought it just sounded like moaning,” says Alfi. By discovering Iraqi music, Alfi’s bond with her father increased immensely. As she began to study Iraqi musicians and styles, she delved into her family roots. In 1949, Alfi’s father escaped from Iraq as part of the Jewish exodus to Israel. He came as a three-year old, but he always stayed true to his Iraqi roots. As a storyteller, he incorporates stories from his family history into his show. “The older I get, the more I learn about my family’s history,” says Alfi. “I’m named after my great-grandmother, Rima. I used to hate my middle name. I said, ‘The day I turn 18, I’m changing my name.’ Then I heard my father’s story about how she never learned to read or write. She used to sign her name with a handprint. When I got my bachelor’s degree, I wrote out my name as ‘Sari Rima Alfi.’ Now I’m proud to be named after Rima,” she asserts. On February 17, Yossi and Sari Alfi will share the stage to mark the first international day commemorating the Jewish exodus from Arab countries. Sponsored by HARIF, a UK organization promoting the heritage of Jews of the Middle East and North Africa, the concert will be held in their Central London venue. As a parent herself, Alfi wants to pass down her Iraqi culture to her children. Her family observes many Iraqi-Jewish traditions. From singing Shabbat prayers with Arabic tunes to cooking traditional Iraqi dishes, Alfi wants to expose her two daughters, Liri and Yahli, to their Iraqi heritage. 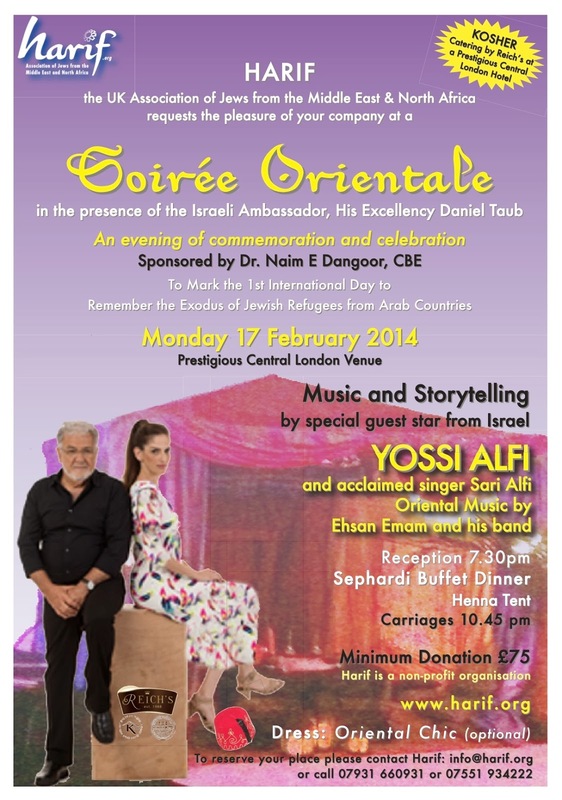 To book your place at Harif's Soiree Orientale on 17 February in London, click here. A song from an Israeli singer with Yemenite roots – but who has never visited the country – has become a surprise hit in the Yemeni capital of Sanaa, the Economist reported on Tuesday. Re-published in Haaretz (with thanks: Lily). "I am sending you this letter to tell you of my surprise and discomfort following your decision to cancel the exhibition " 3500 years of ties between the Jewish people and the Holy Land ". "Your honourable institution actively participated in its preparation and agreed to host it at its premises at its headquarters in Paris. The cancellation has strengthened my decision and my pride in being part of the Honorary Committee of the exhibition alongside such eminent personalities as Elie Wiesel, Esther Coopersmith, Father Patrick Desbois, Lord Carey of Clifton and Mr Irwin Cotler.
" It seems that your decision was taken at the request of the Arab Group at UNESCO. They considered that such an exhibit would harm the peace negotiations and efforts by the U.S. secretary of State John Kerry, and undermine the neutrality of the UNESCO. I personally find it hard to believe that cancelling a cultural exhibition at the world headquarters of Culture and Science promotes current peace negotiations. This is at the very least to prejudge the content of the exhibition, and it surely introduces an additional hurdle to negotiations. The cancellation can be seen as a boycott and therefore adopting a political position. "As a writer, my weakness is to believe that free expression is peace, it is the exchange of ideas, the dialogue with the Other, and as an Algerian, I know how the lack of democracy in our Arab countries prevents peace and breeds violence. Putting out the fire in one's house, it seems to me, is more urgent than firefighting cultural exhibitions across the world. "It is to have a narrow view of neutrality to demand that an institution have nothing to do with the Other. Neutrality means nothing; an institution like UNESCO does not have to be neutral: it must let everything and everyone see and be seen. A dialogue based on each and every individual reality can start and be profitable. "The Arab Group can now celebrate its victory: it got an exhibition cancelled for exposing the Other. This suggests that far from being objective and neutral, UNESCO is being partisan. Now let's hear about the lack of democracy in these countries which in the last three years alone has caused hundreds of thousands of deaths. "I'm sorry, Madame Director-General, to see you complicit in an affair that ultimately harms everyone's name. Is Nazism resurgent in Egypt? Egyptians should re-examine their thinking about Jews and Israel, philosopher Youssef Zeidan tells Jacky Hougy in Al Monitor. That process should begin with acknowledging the Israiliyyat, controversial hadiths by Jewish converts to Islam in the spirit of the Torah. Modern antisemitism, he says, speaking for a small group of Egyptian intellectuals, mainly takes its toll on Arabs and serves the interests of their military rulers. It’s not every day that a well-known Egyptian intellectual makes pronouncements of the kind made by philosopher Youssef Zeidan. The Egyptian and Israeli media missed what he said at the end of a Dec. 30 interview with journalist Lamis El-Hadidy on Egypt’s CBC TV channel, even though it went to the heart of the ties between Cairo and Jerusalem and between Arabs and the Jewish world. Zeidan is a researcher of ancient manuscripts. 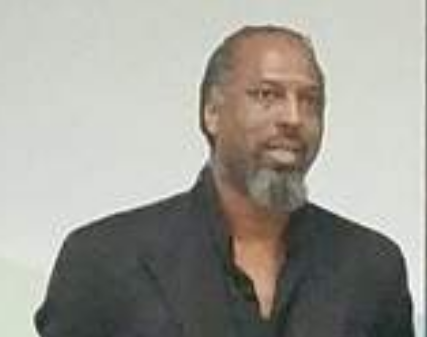 He is also a greatly admired writer, the author of several excellent novels, most prominently “Azazeel,” which has been translated into 16 languages and was recently even published in Hebrew. Toward the end of the interview, Hadidy asked him how he sees the year 2014. Her guest’s answer was surprising: He suggested that Egyptians reassess their ties with the Jews. This fresh thinking, in his view, should start at the very beginning, meaning from the dispute over the Isra'iliyyat. These are chapters included in the sayings by the Prophet Muhammad, known as hadiths, which originated with Jews who converted to Islam, offering interpretations of stories from the Quran in the spirit of the Torah. As a result, some are considered by Islam to be unreliable. For centuries, to this day, Muslim commentators have been seeking to uproot the Isra'iliyyat from hadith literature. There are even those who suspect that they were inserted into the hadiths to corrupt them. Zeidan’s words appear to question whether it isn’t time to minimize the importance of this debate, which overshadows the relationship between the two religions. Zeidan didn't stop there. He also called for rethinking “the so-called Middle East problem, which I do not consider to be a problem at all” — in other words, the dispute between Israel and its Arab neighbors. “The Nasserists have been oppressing the people for 60 years under the pretext of the Middle East problem,” he said. As a result, “wars were fought and people were killed.” He then suggested that his listeners change their perception of the Holocaust. He even provided an example from the Egyptian school system: the Balfour Declaration — the 1917 British promise which looked favorably on the establishment of a national home for the Jewish people in the Land of Israel. The Egyptian philosopher’s statements are a call for a reform in thinking. They express the views of a small group among Egyptian thinkers, which sees the disgust that has developed between the Arabs and Israel as a problem that takes a toll mostly on the Arabs. Zeidan thinks that hatred of the Jews is sweeping and comprehensive: it is rooted in history, religion and contemporary politics. He is not acting out of a love for Israel. Zeidan is a patriot who believes that resolving the fracture between Egyptians and Jews could serve his countrymen, first and foremost. His courageous pronouncements undermine the deeply rooted Egyptian perception, encouraged from on high, of Jews as a threatening, demonic entity, and of Israel as a danger. Two and a half months before the interview, in October 2013, the Egyptian daily Al-Masri al-Youm published an article by pundit Gamel Abu Al-Hassan. Abu Al-Hassan, a regular contributor to this newspaper, attacked the armed resistance policy adopted by the Arabs toward Israel. He directed his arrows toward the holiest of holies — the military elites in the Arab states. The following incident is very revealing: In November 2003, the Arabic translation of the Protocols was put on display next to the Torah and the Talmud as part of an exhibit on the sacred books of the three monotheistic religions. Dr. Yousef Zeidan, director of the Centre for Arabic Manuscripts at the Alexandria library, proudly reported this cultural achievement to a correspondent of the Egyptian weekly Al-Usbu': "When my eyes fell upon the rare copy of this dangerous book, I immediately decided to place it next to the Torah. Although it is not a monotheistic holy book, it has become one of the Jews' sacred [texts] and part of their basic constitution, their religious law, and their way of life. In other words, it is not merely an ideological or theoretical book. Perhaps this book of the Protocols of the Elders of Zion is more important to the Zionist Jews of the world than the Torah, as they conduct Zionist life according to it… Thus it is only natural to include the book in this exhibit." After an international outcry, the Protocols were promptly withdrawn. He's been listed as an Arab Nobel prize winner, but the celebrated writer and playwright Albert Camus was neither Arab nor Muslim. He was an Algerian pied noir whose father was French and mother Spanish. However, it seems that during his short lifetime - he was killed in a car accident aged 46 - Camus was close to Jews, shared their humanist values and was a supporter of Israel. Albert Bensoussan, writing in Information juive (December 2013), tells how the young philosopher was taken under the wing of the Jewish community of Oran during WWll. Camus, who suffered from tuberculosis, was not allowed to teach in a state school. His friend Andre Benichou, himself dismissed from his teaching post at the Lycee Lamoriciere by the Vichy race laws, employed Camus between 1940 and 41 in his 'Jewish school' for all those pupils excluded from state lycees. Oran was the backdrop for Camus's novel La Peste, an allegory for the spread of Nazism. Jewish friends apparently introduced Camus to his second wife, Francine Faure, who had a Jewish grandmother. He might have modelled his famous character Meursault in L'Etranger on his friends Raoul and Loulou Bensoussan. In Oran he was treated for tuberculosis by Doctor Cohen. As Doctor Cohen's surgery was closed down by the Vichy regime, his consultations took place at his brother-in-law's home, Dr Pariente. Albert Camus was a committed supporter of the Resistance, and a defender of oppressed Kabyles and Jews in the underground journal Combat. Israel's right to exist must be defended after the Shoah, he asserted. "We think it right and just that the survivors should have a country we have neither managed to give them nor preserve", he wrote. He wrote the preface to the Tunisian-Jewish writer Albert Memmi's memoir 'Pillar of Salt'. In his outlook, his friends and his values - Camus was (almost) 'one of us'. Edwin Shuker, who left Baghdad for England in 1971 at the age of 16, is among the people with the most at stake in the fight against the archive’s repatriation. While visiting Washington in November, he went to the National Archives to see highlights from the collection, on display for the first time. The curators had chosen 24 items from among the tens of thousands of documents, 2,700 books and other Jewish artifacts collected from Saddam’s abandoned headquarters as U.S. forces took control in Baghdad a decade ago. The last thing Shuker expected was to see his own face staring back at him. 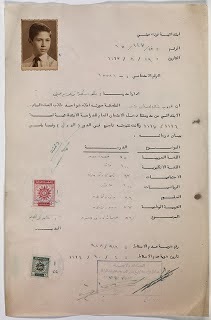 By chance, one of the documents selected for the exhibition was his government-issued certificate showing he’d passed the nationwide exams given before high school. 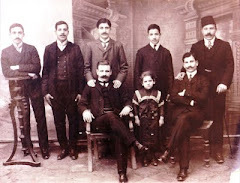 Attached was a photograph of him as a 12-year-old student at Frank Eini, Baghdad’s main Jewish school. Shuker told his personal story in an interview with Haaretz as well as at a larger forum on Monday at Jerusalem’s Yad Yitzhak Ben-Zvi Institute, at an event sponsored by the World Jewish Congress-Israel and the Israeli Council on Foreign Relations. Shuker’s family chose not to join the mass exodus of Jews from Iraq in 1951, known as Operation Ezra and Nehemiah. With a growing Zionist underground, Iraq’s Jews came under suspicion and harassment following the establishment of Israel in 1948, and a series of bombings targeting the Jewish community in 1950-51 spurred thousands to sign up for aliyah. 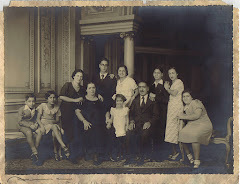 Despite that, many Jews felt themselves to be an integral part of Iraq and decided to stay, Shuker’s parents included. But things got worse for Iraq’s Jews after the 1963 coup by Saddam Hussein’s Ba’ath party in 1963. 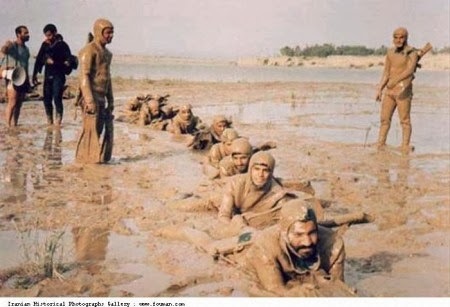 But the real turning point, many community members say, was the roundup of Jews in 1968 amid charges of spying for Israel, followed by the 1969 hanging of 14 men, nine of them Jews; the regime encouraged Iraqi to come walk beneath the bodies and celebrate. Many Jews with connections to Israel were imprisoned. Most of the remaining families, including Shuker’s, began leaving in secret, often with false papers identifying them as Muslims. “After the hangings, it was a living nightmare. My father announced one day that we had two hours to say goodbye to life as we know it, and that we could each bring one thing. I couldn’t chose, so I took nothing. We left our identity cards, but more important, we left our identity,” Shuker says. The archive, which is mainly composed of communal documents but also includes some traditional Jewish books, 48 Torah fragments and a wooden “tik,” as the hard case in which Torah scrolls were usually housed in Middle Eastern communities, underwent a $3 million restoration. 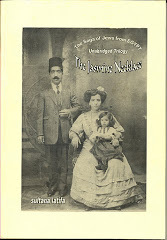 The collection has now become the symbol of the richness of Iraqi Jewish culture, which began during the Babylonian exile 2,600 years ago and flourished into the first half of the last century, when there were approximately 150,000 Jews in Iraq. Iraqi Jewry was gradually decimated, first with the Nazi-inspired pogrom in 1941 known as the Farhud, and later as droves of Jews were encourage to immigrate Israel given the deteriorating conditions in Iraq. Saddam’s persecution in the late 1960s was the final death knell, and by the time of his overthrow in 2003, fewer than 60 Jews remained in Baghdad. “We will explore every avenue to make sure that my children and my grandchildren and our community’s grandchildren will have safe access to this collection,” says Shuker. He is working on behalf of Justice for Jews from Arab Countries, of which he is vice chairman, to coordinate what he characterized as “ongoing discussions” with the Iraqis and the State Department to find an acceptable solution. The journey of the documents from a flooded Baghdad basement to a laboratory in Fort Worth, Texas is one of the more bizarre sidebars of the U.S. invasion in 2003. Harold Rhode, who was then working of the Coalition Provisional Authority on behalf of the U.S. Secretary of Defense, got a call from Ahmed Chalabi, a theretofore exiled Iraqi who was favored by the Bush administration to be the next leader of Iraq. While looking for documents in the intelligence headquarters, they had come across Saddam’s storehouse of information on the Jewish community. The basement had been flooded, whether willfully or accidentally, and was under four feet of water. They spent two days pumping out the water, and then pulled out reams of waterlogged books, documents and religious texts. They laid them out in a large courtyard to dry. Rhode was at a loss over how to save a wet Torah, but he got permission from a rabbi to save it by rolling it out on the ground in the open air, despite the usual prohibitions against putting a Torah on the floor. Under some pressure to find a solution, the State Department decided to fly the entire mess to the United States. To that end, the materials were packed into 26 trunks that were frozen, to prevent further deterioration and mold. After sitting in Texas for years due to lack of funding, an intensive preservation and documentation effort began. The archive was digitized and presented to the public in November. 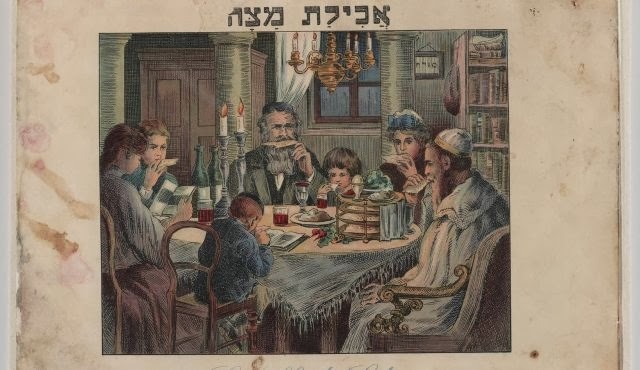 Since then, many Iraqi Jews have examined the collection online, and found it a poignant surprise to see their school records and personal documents there. Rhode, for his part, thinks the documents should find a home in Israel. “There is only one Museum of Babylonian Jewish Heritage in the world, and that’s here [in Or Yehuda], and that’s of course where the documents belong,” he says. The United States never signed any kind of formal agreement with Iraq, which at the time was under occupation and without a government, for the return of the documents. But U.S. officials made several public promises to return the archive to Iraq after its restoration. “The only way to solve this now is the Iraqis demit and agree to letting the Americans have it on a longer loan, or that so much time passes that they forget about it,” Rhode says. The State Department maintains the archives will be returned to Iraq as promised, and it has already funded the training of Iraqi archivists in Washington to further that goal. In a recent interview, Saad Eskander of the National Library in Baghdad said he is gladly awaiting the archive, which he believes should not have been removed from Iraq in the first place. The archive goes on display at New York’s Museum of Jewish Heritage on February 4, where it will remain through May 18.